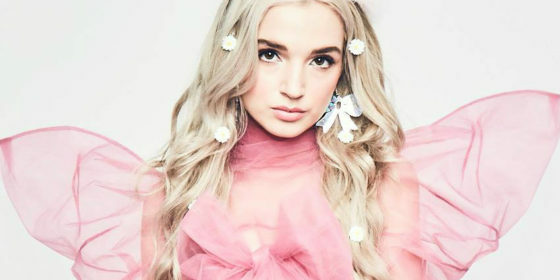 Rising pop star Poppy released her second studio album yesterday and one of the album’s songs is a proud anthem for all genderqueer and non-binary people in the world. The album, Am I a Girl?, has a single of the same name on it. It’s a catchy techno pop track and a proud song for an underrepresented part of the queer community. Identifying as genderqueer, genderfluid, or non-binary means not subscribing to conventional gender norms. Rather than strictly identifying along the male/female binary, people who are genderqueer identify with both genders, neither, or a combination. Actors Asia Kate Dillon, Ruby Rose, and Tommy Dorfman all identify as genderfluid. Drag queens like Aja and Courtney Act also identify on the genderqueer spectrum. beautiful. They look nice, however they are.